AGEC's St. George Office :: AGEC-Applied Geotechnical Engineering Consultants, Inc.
AGEC's NEW 22,000 square foot St. George, Utah office is located at 1420 South 270 East. 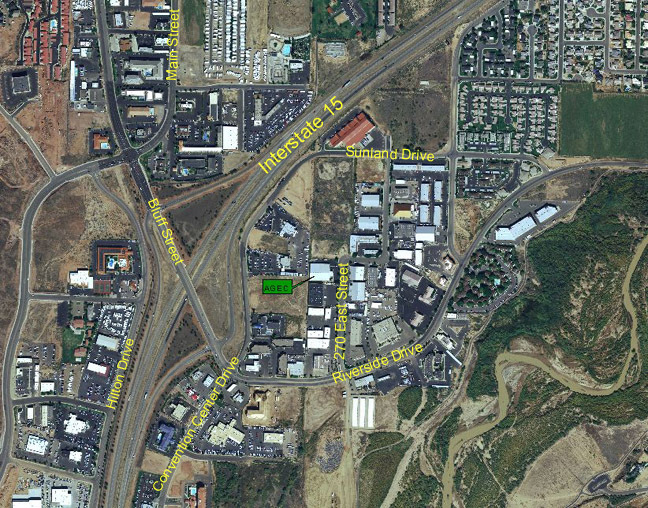 Directions from Interstate 15: Exit at Bluff Street (Exit 6) and go east through the traffic light at Sunland Drive/Convention Center Drive on Riverside Drive. Turn north onto 270 East Street and go north approximately 1/4 mile. AGEC's office is on the left (west) side of 270 East Street just before the street turns to the east.